The combination of alcohol and weed is the most frequently used mixture of drugs and alcohol abuse. Both substances cause intoxication and impairment of judgment and motor skills. Compared to weed or alcohol alone, the effect is amplified when the two are used together. What are some of the dangers of cannabis combined with alcoholic drinks? Let’s find out. 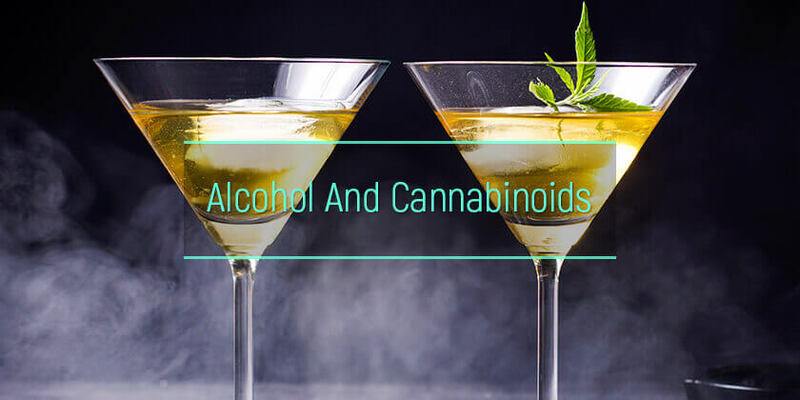 What are the health effects of cannabinoids and alcohol? What is the statistics on concurrent cannabis use and drinking? Is there a higher risk of overdose when drinking on pot? What are the signs of cannabis and alcohol abuse? What Happens When You Mix Alcohol and Weed? Pot and alcoholic drinks have similar psychomotor and cognitive effects. Both are central nervous system depressants. 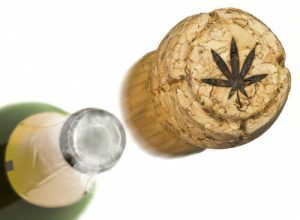 The most dangerous aspect of the cannabis alcohol pairing is that the combined effects of these substances on the mind and body are unpredictable. In 2015, about 4 million Americans qualified as having marijuana use disorder and more than 15 million adults above the age of 18 had alcohol use disorder, showing how prevalent the problem is. A French study found that more than 40 percent of THC-positive drivers involved in fatal motor vehicle crashes also had blood alcohol concentration (BAC) above the legal limit, indicating that both substances are often used together. About 30 percent of admissions to the University of Maryland Shock Trauma Center had BAC above the legal limit and 25 percent tested positive for marijuana. A study in Australia found that THC-positive drivers with BAC above 0.05 percent had higher culpability in car crashes than those with only alcohol in their blood, implying that THC amplifies the impairments caused by alcohol. Studies show that performance impairments are stronger after consuming both substances, for example with formulations like a weed in alcohol. Low doses of THC alone cause moderate impairment in performance, but when combined with alcoholic drinks, the impairment is severe. The deliberate use of marijuana in alcohol is usually to enjoy a unique high called cross-fading. However, sometimes this is inadvertent. A person becomes so intoxicated by drinking that he or she does not realize the danger of smoking a joint. Yet, research shows that combining alcoholic drinks with other substances, for example, antidepressants like Cymbalta and alcohol, can be lethal. Similarly, consuming cannabis-infused alcohol puts a person at considerable risk. Besides the chance of overusing both substances, which can occasionally prove fatal, drinking before smoking can result in severe illness. “Greening out” refers to a type of sickness that occurs after smoking marijuana. The symptoms include pale skin, dizziness, sweating, nausea, vomiting, and an overwhelming desire to lie down. It is sometimes called “the spins”. Although greening out is not a life-threatening condition, it just goes to show that marijuana effects are more severe when alcoholic drinks are already in the system. College students have an adage about weed and alcohol: Smoking grass before beer keeps you in the clear. But this can be hazardous. Pot has an antiemetic effect, i.e., it makes it difficult for a person to vomit. When someone drinks excessively, vomiting is the body’s way of expelling the excess ethanol. If the person is unable to vomit properly, the risk of choking and alcohol poisoning increases. Signs of Abuse: How to Tell if Someone is Addicted to Pot and Alcohol? There are several drugs available for medically assisted substance abuse treatment, for example, suboxone for opioid addiction. However, mixing these medications with ethanol, for example, alcohol and suboxone, can lead to serious health problems. Some alcoholics try to quit cold turkey by using marijuana for alcohol withdrawal, believing the THC will control symptoms such as insomnia and cravings. However, it is not recommended to try detox without medical supervision. Addiction treatment for THC and alcoholism requires the care of trained experts. Mixing marijuana and alcohol is a dangerous practice and coming off these substances requires careful medical care.